When your kids are playing outdoors, the mosquitoes keep buzzing in your head. 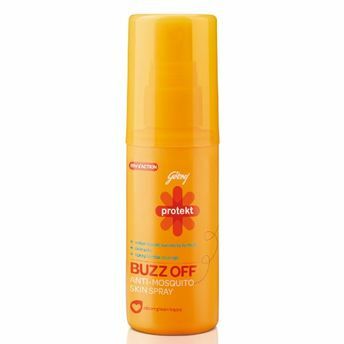 Spray Godrej Protekt Buzz Off anti-mosquito spray on your little one's skin and forget the mosquito buzz for eight long hours. This water-based spray loves skin like no other. Mosquito bites? What's that? No wonder it's creating a quite a buzz! Explore the entire range of Insect Repellents available on Nykaa. Shop more Godrej Protekt products here.You can browse through the complete world of Godrej Protekt Insect Repellents .